Aug 9, 2016 | eNews Etc. 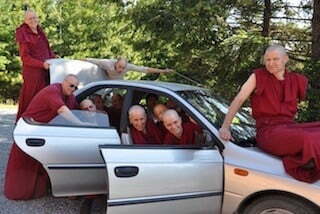 Caz Lockwood shares her experiences of serving as Venerable Thubten Chodron’s assistant on a five-week teaching tour across eight cities in Europe in 2016. Aug 1, 2016 | eNews Etc. All the latest news and events at Sravasti Abbey for August 2016. Jul 1, 2016 | eNews Etc. 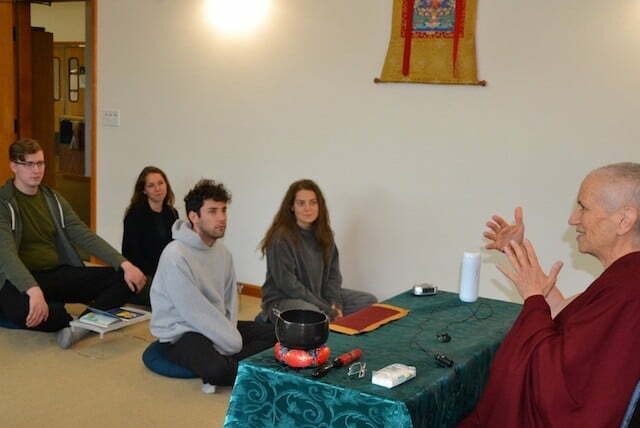 All the latest news and events at Sravasti Abbey for July 2016. 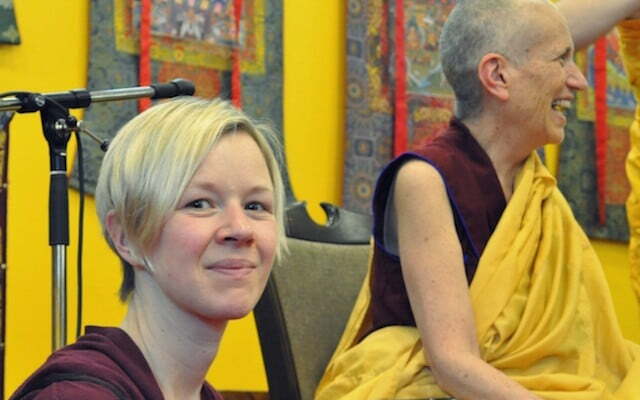 Venerable Thubten Jampa shares about the culture she grew up in in the German Democratic Republic, and the process of transition after the fall of the Berlin Wall. 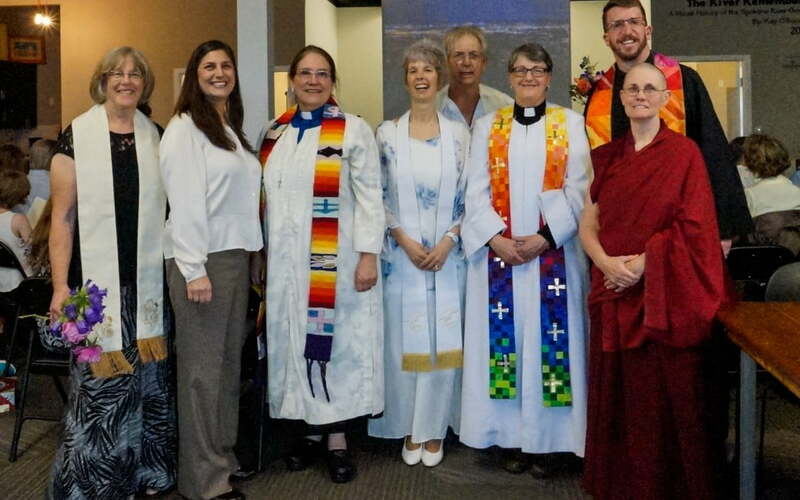 Venerable Thubten Chonyi joined the Spokane Interfaith Council and OutSpokane in an interfaith worship service during the city’s 25th annual GLBTQ+ PRIDE Week.